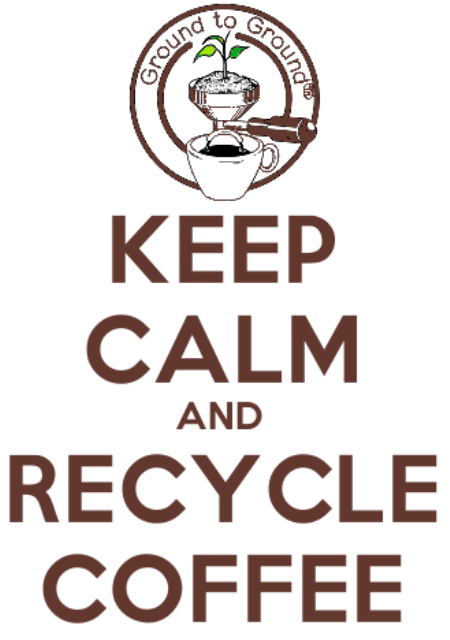 Keep Calm and Recycle Coffee!! What else would a grown man want to do after work during semester break on a sunny afternoon? Time to make another poster for Ground to Ground. The ‘Keep Calm‘ poster has a long and noble history well worth learning about. Here in Australia the poster is showing up as a meme all over the place – Keep Calm and Drink Tea, “” “” and feed the dog, “” “” and Eat Bacon! So it’s only fair that the fine art of coffee grounds recycling contributes to the abuse of this proud British icon. You can save the image file or make use of the PDF links below in either A4 or Letter format. Tags: Ground to Ground, keep calm, Poster. Bookmark the permalink. Previous post ← When is a Cherry Ripe? When the Birds think so!